Moving from impossible to on-possible! Stephen Ritz and the founding of The Green Bronx Machine. 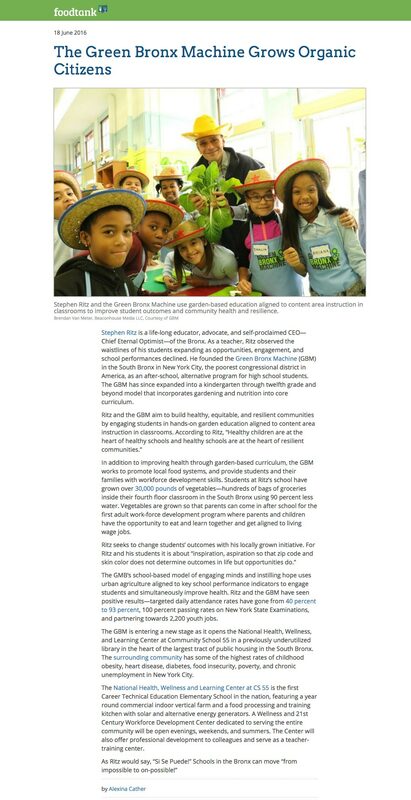 The Green Bronx Machine model engages minds and instills hope through urban agricultural education.